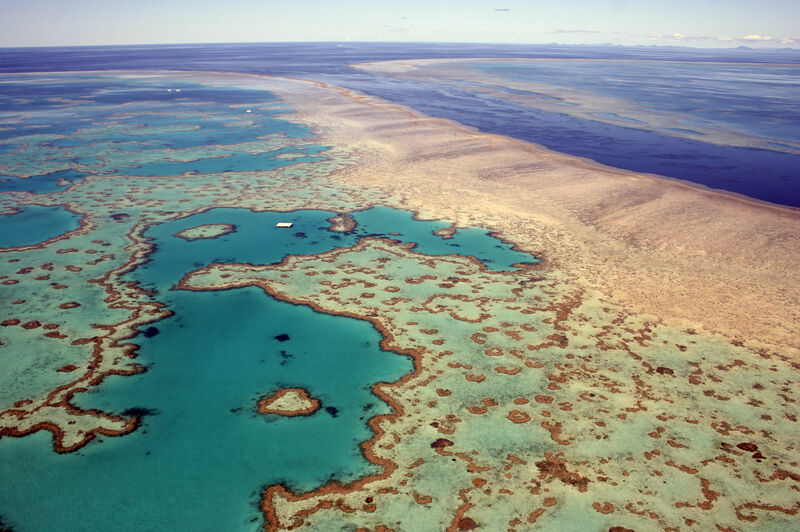 Located off of the eastern coast of Queensland, Australia, in the Coral Sea, the Great Barrier Reef is the largest coral reef system in the world, and an outstanding crewed yacht charter location both for experienced divers and the casual snorkeler. 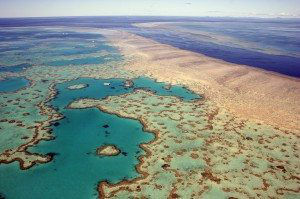 Today, much of the Great Barrier Reef is protected as a natural park, and in 1981 was named a World Heritage Site. Crewed yacht charter is allowed with park permits and cruising on a crewed charter yacht is one of the best ways to see and privately explore this exciting and diverse eco area. 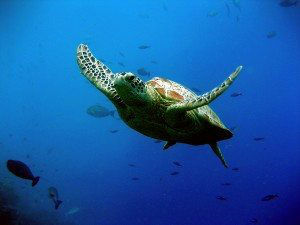 Besides supporting an outstanding living coral display, the waters are also teeming with marine life, including 6 different varieties of sea turtles, over 1500 varieties of tropical fish, dolphins, porpoise and even whales. Along the surface of the water are a series of deserted sandy cays, ideal for that private beach picnic in the middle of nowhere! In fact, there are miles of sandy cays, reef formations, and fringing reefs to explore, and often without another yacht in sight, for your own private tropical paradise. Queensland has several great port towns, including Cairnes, and Port Douglas, within easy cruising distance of the Great Barrier Reef. Both Cairnes and Port Douglas are good location to embark and disembark on your crewed yacht charter and are easily reached by air flights out of Sydney. Northrop and Johnson Yacht Charters is very familiar with the yachts that are available for crewed yacht charter in this stunning location. 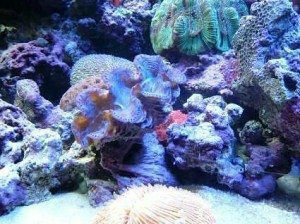 We have visited the marinas and have cruised in the Coral Sea around the Great Barrier Reef. Fringing reefs and outstanding coral formations can also be seen in the Whitsunday Islands, just south of the Great Barrier Reef. This is another great charter location off of the coast of Queensland Australia, and subject of another blog.